Sleep Apnea is a condition affecting millions of Americans. In this article, we will look at what sleep apnea is, what are the causes and what we can do to prevent it. 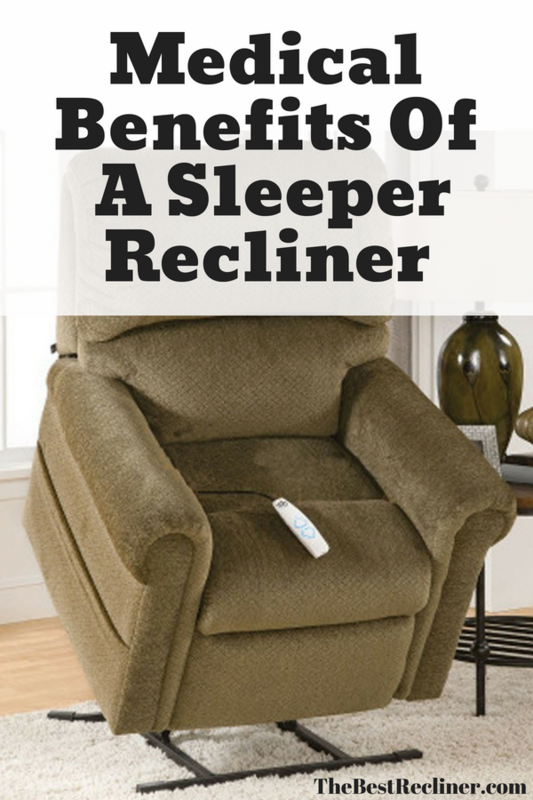 Finally, we will have a look at the benefits of sleeping in a recliner for sleep apnea. 4 What is the Best Sleeping Position if you have Sleep Apnea? 5 Does Sleeping in a Recliner Help Sleep Apnea? Sleep apnea is a grave sleep disorder that happens when a person’s breathing is disturbed during sleep. Around 18 million Americans have this condition, but only 20 percent are undergoing diagnosis and treatment. People with this condition stop breathing constantly during their sleep, sometimes more than hundreds of times. 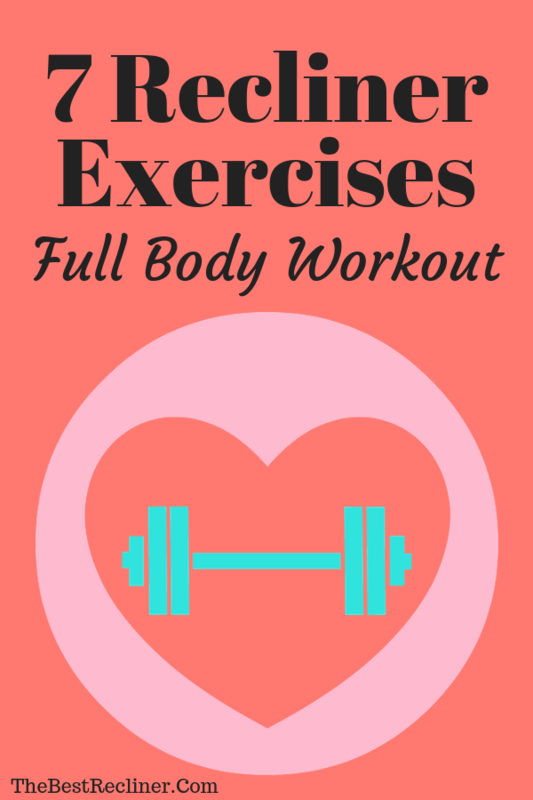 This means the body as well as the brain may not get enough oxygen. This is the most common type between the three. It is caused by airway blockage and this usually occurs when the tissue in the back of the throat collapses during sleep. Unlike OSA, the airway is not blocked. However, the brain fails to send signals for the muscles to breathe. This is due to imbalances in the respiratory control center. In addition, sleep apnea may be the cause of poor performance in daily activities and tasks. Motor vehicle crashes and academic underachievement in pupils are common results of sleep apnea. Mixed sleep apnea combines both central and obstructive sleep apnea symptoms. Some patients being treated for obstructive sleep apnea develop symptoms of central sleep apnea, during therapy. This occurrence had long been noticed in sleeping laboratories but had not been widely studied previously. In 2006, Mayo Clinic researchers conducted a study involving 223 sleep apnea patients. They found out that 15% of the patients who were diagnosed to have OSA in fact had complex sleep apnea. During treatment for patients believed to have OSA, the patient’s airways were made free from obstructions. But the patients’ breathing difficulties while sleeping continued. Their symptoms of obstructive sleep apnea shifted to symptoms of Mixed Sleep Apnea while therapy was being administered. Breathing is interrupted when an airway is blocked by the collapse of soft tissue found in the back of the mouth during sleep. The result is like trying to drink through a wet paper straw. People keep sucking the straw, but nothing gets through. Some of that tissue is the same muscle that supports the uvula, tongue, tonsils and walls of the throat. During sleep, the muscles that keep the airways open, relax along with the tongue, making the airways narrower. Generally, this relaxation does not interrupt the flow of air in and out of the lungs. However, in sleep apnea, it can. In central sleep apnea (CSA), the neurological controls for breathing are unreliable, causing the rhythm of breathing to be irregular. CSA is mostly associated with another medical condition, such as heart failure or a stroke. Other conditions include the use of pain relief medication or recent ascent to high altitude. 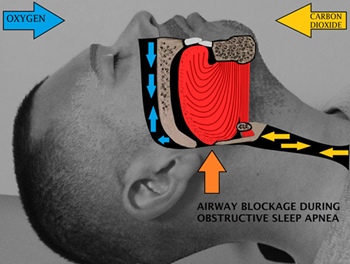 When an airway becomes fully blocked, snoring stops and there is no breathing for a 10 to 20 second time period. Or until the brain detects the apnea and sends a signal for the muscles to tighten which returns the airflow. Although this process continues hundreds of times during sleep, the person experiencing the apnea is not conscious of it. The first sleep apnea risk factor is obesity. Extra fat around the neck greatly increases the likelihood that a person will have sleep apnea. But just because someone is slim doesn’t mean that he/she is safe. Lightweight people without a big neck circumference can also develop sleep apnea symptoms. Every individual’s nose and throat anatomy is different. What causes sleep apnea symptoms for someone may not result in sleep apnea for someone else. It’s possible to have big tonsils that relax and partially cover an airway when someone lies down. Or a person may have been born with a narrow throat. In addition, being older and being male both boosts the chances of acquiring sleep apnea. Nasal polyps can also block the airway. For other people, their lifestyle choices cause them to develop sleep apnea symptoms. Indulging in alcohol or taking sleep medications might cause the throat muscles to relax excessively. Smoking can also contribute to sleep apnea symptoms. Smoking can produce inflammation in the throat plus a buildup of mucus, both of which can result in a narrowing or airway blockage. If someone’s sleep apnea symptoms appear only when they’re congested, they may not need to take any vital steps other than to try to clear up their congestion. A common cold or allergy, anything that makes breathing through the nose makes difficult, may be what causes sleep apnea in the short term. What is the Best Sleeping Position if you have Sleep Apnea? Lying flat on your back is the worst position for someone who suffers from sleep apnea. Gravitational force increases the chance of the tongue and soft palate dropping back toward the throat. 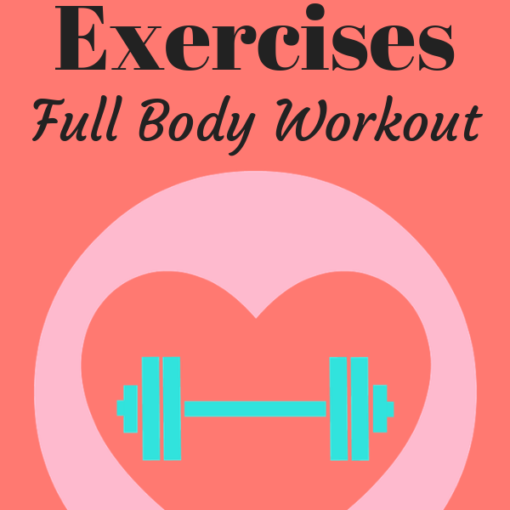 This narrows a person’s airways and can lead to difficulties in breathing. Sleeping on your stomach may seem like the perfect counter to the gravity issue. As it is now, the downward force should pull the palate and tongue forward. While this makes sense, your nose and mouth may end up being either blocked or impaired by your pillow. Or your neck has to be turned to the side to maintain breathing. All of these are counter-productive in clearing the airways to avoid sleep apnea symptoms. Various studies have shown that turning your body on your side appears to be the most suitable for people who suffer from sleep apnea. In this position, the airways are more stable with less likelihood to collapse or restrict air. However, this position doesn’t always come easily to some people. 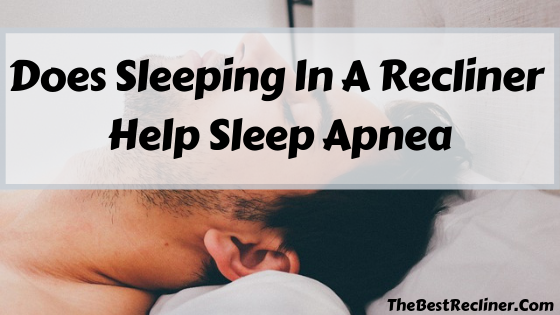 It’s a common scenario where people start sleeping on their side, and fall onto their back later, where sleep apnea is at its worst. Does Sleeping in a Recliner Help Sleep Apnea? Many people with sleep apnea symptoms report very good outcomes when sleeping in a recliner. They usually attribute this to sleeping in a more upright position. As with side-sleeping, it is widely considered that head elevation may improve sleep apnea symptoms by altering the conformation of the airway. An added 30 to 60-degree elevation of the individual’s head might lead to improvement in sleep apnea. To keep it short, recliners with great lumbar support and infinite options for positions are the best recliners for sleeping. 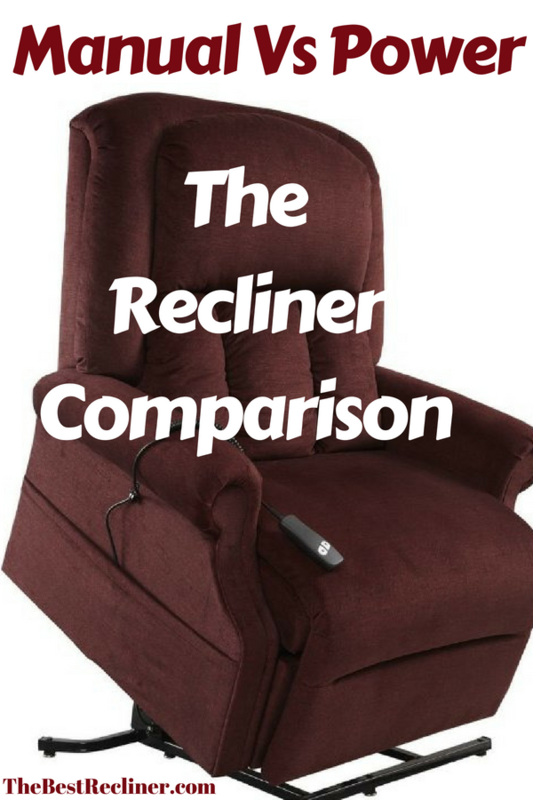 Aside from reducing sleep apnea symptoms, recliners improve circulation. As a sleeping recliner lets you raise your feet to an identical position to that of laying down, sleeping in a recliner relieves the bad effects of gravity on your circulation. A recliner can help minimize swelling in the legs, feet and joints for those with poor circulation. With the above factors taken into consideration, a comfortable recliner can be a valuable aid in helping a person with sleep apnea. 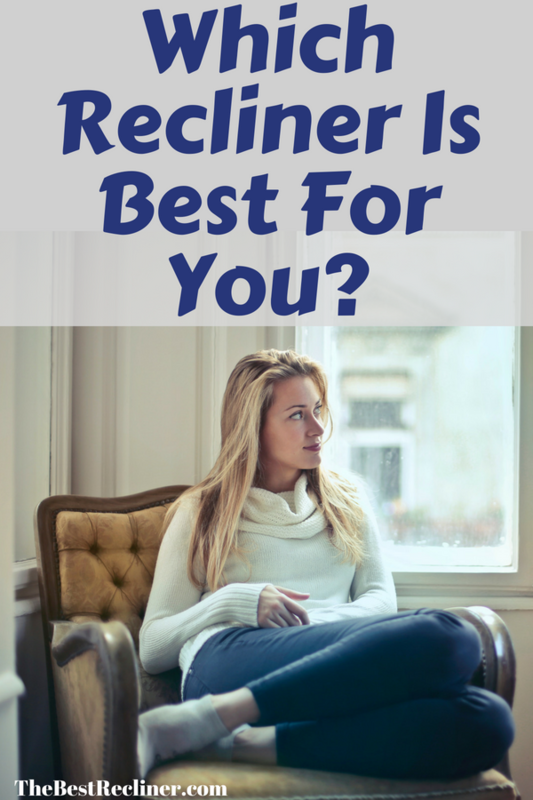 If you seek the best sleeping recliners for sleep apnea, then visit our article entitled Best Recliners For Sleeping.